Hi Gorgeous! Happy New Year! 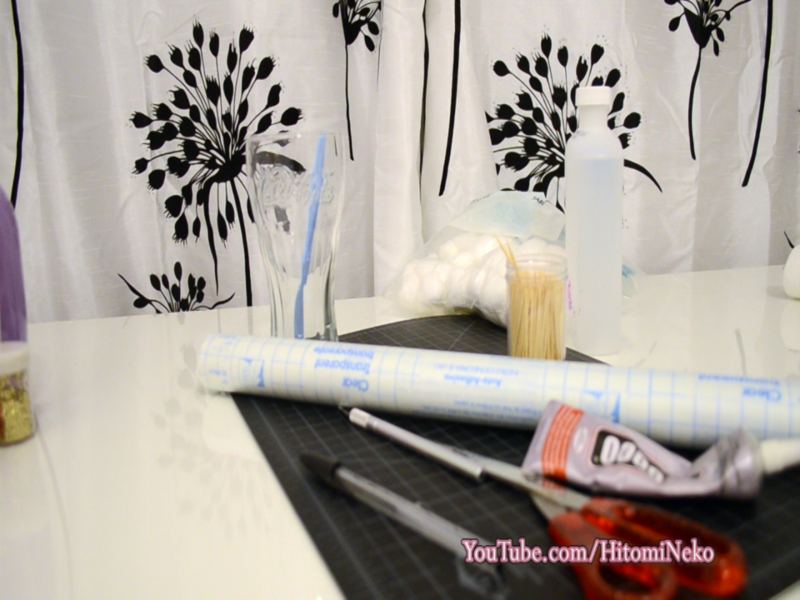 As the new year rings in, I want to bring you more DIY blogposts/youtube videos! I been wanting to upload more DIYs for a long time, as I have tried to do some DIY videos some time ago. Of course my busy schedule always got to it and I guess my new year resolution is to make time for DIY’s! 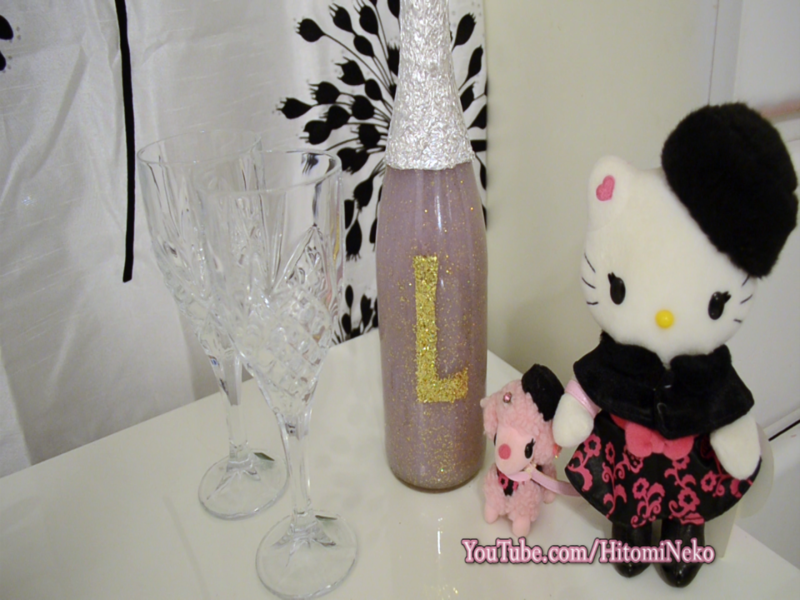 Since we just passed Christmas and New Year, we must all have some Champagne or Apple Cider bottles lying around. I always find them really pretty and feels like a waste to throw them away. So instead, I decided to make a DIY Home Decor out of it! This decor is really beautiful for any occasion or any room. The shape of the bottle itself will just bring much more elegance to a room. Now let’s dig into the DIY. To skip reading, watch my DIY here! 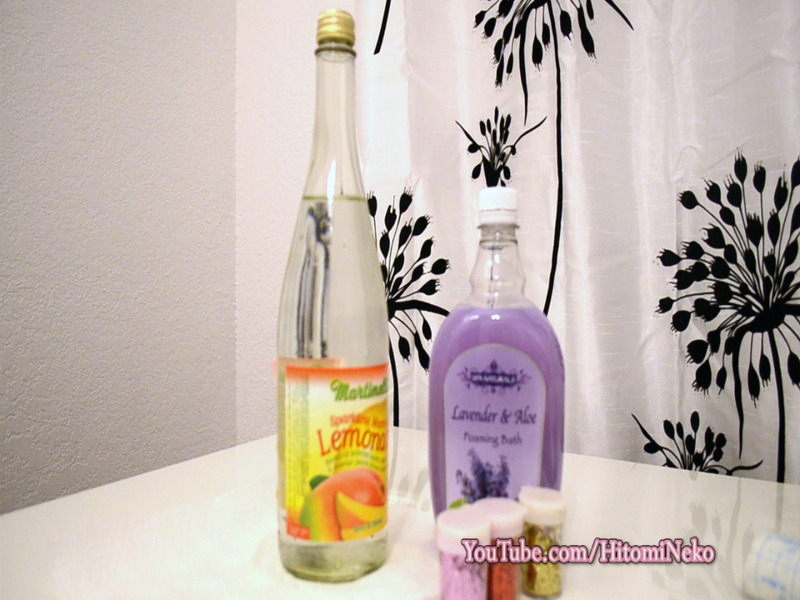 First, Remove the labels on the bottle by soaking the bottle in water. After a few hours, remove the labels. Clean the bottle with rubbing alcohol if necessary. Mix the bath forming gel with glitter and pour into the bottle. 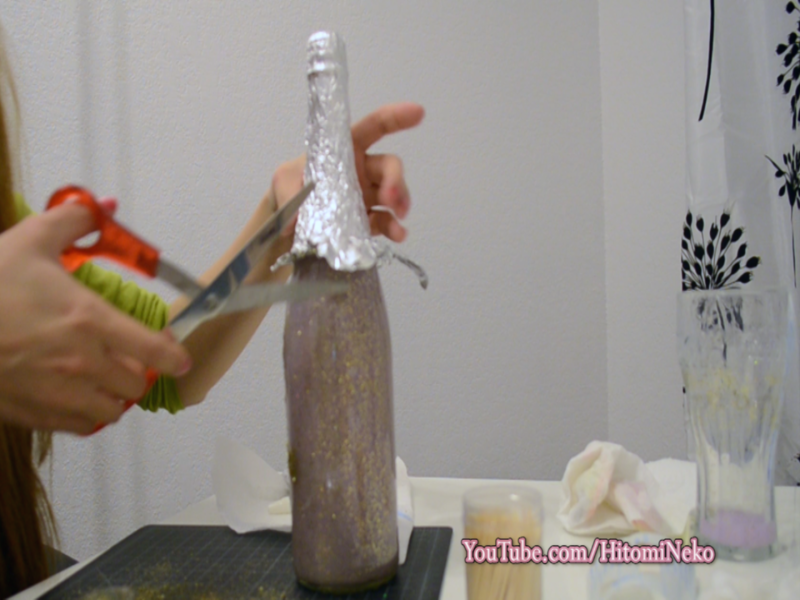 Cut the liner, tape on to the bottle glue on glitter and pill off the liner. Mold the foil on top and cut off the excess. I hope you enjoy this tutorial! 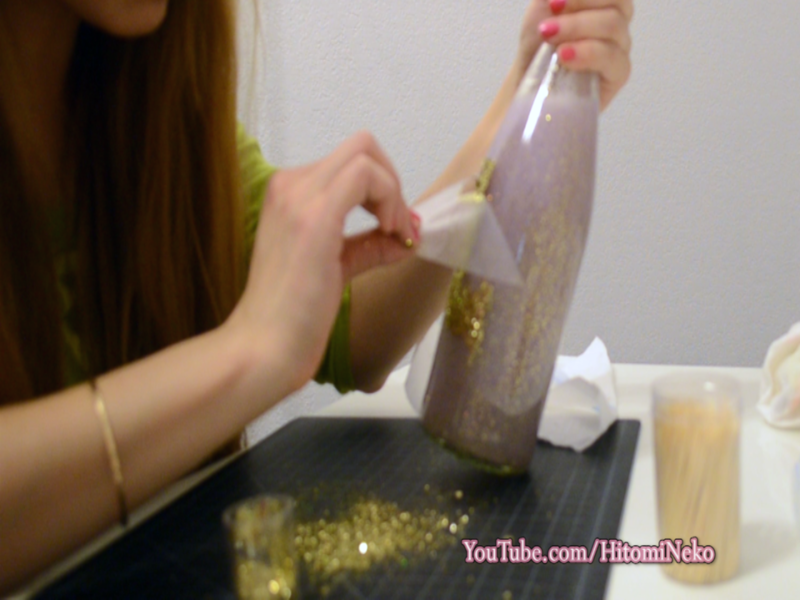 If you make this DIY please make sure to Hastag me #HitomiNeko or #HitomiBlog !